Hi guys! 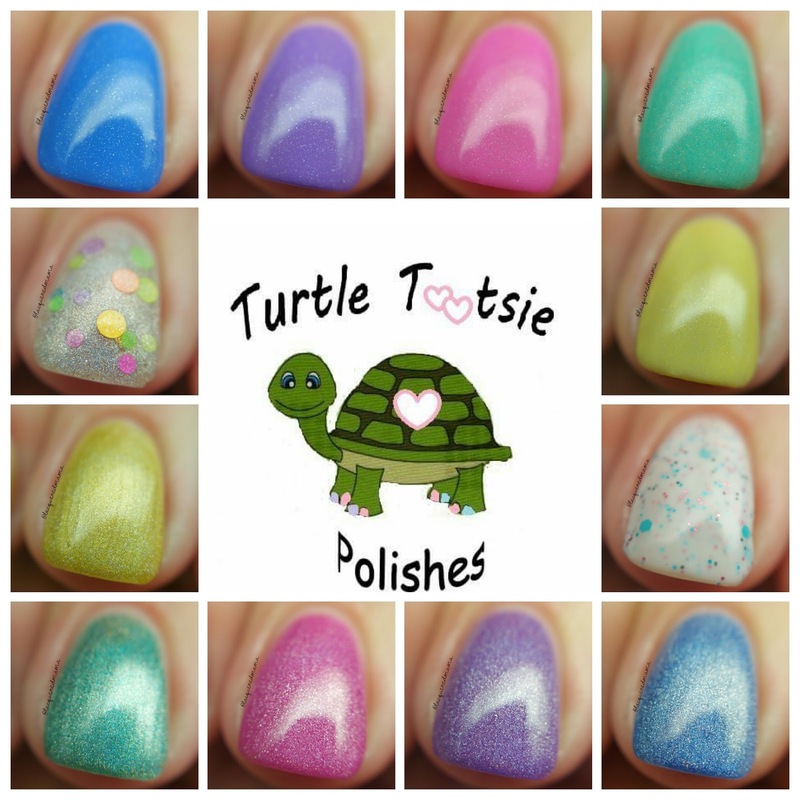 Today I have a fun collection to share with you from Turtle Tootsie Polishes! Their 1 Year Anniversary is on July 1st, so they've created a 12-piece carnival inspired collection to celebrate; as well as some fun new items for the shop! 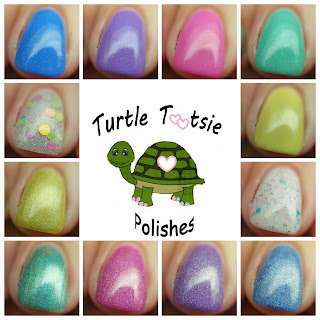 Now onto the entire reason you're here....the polishes! Blue Ribbon is my absolute favorite of the whole collection! I literally put this one and wore it for about four days before I started on the other photos! 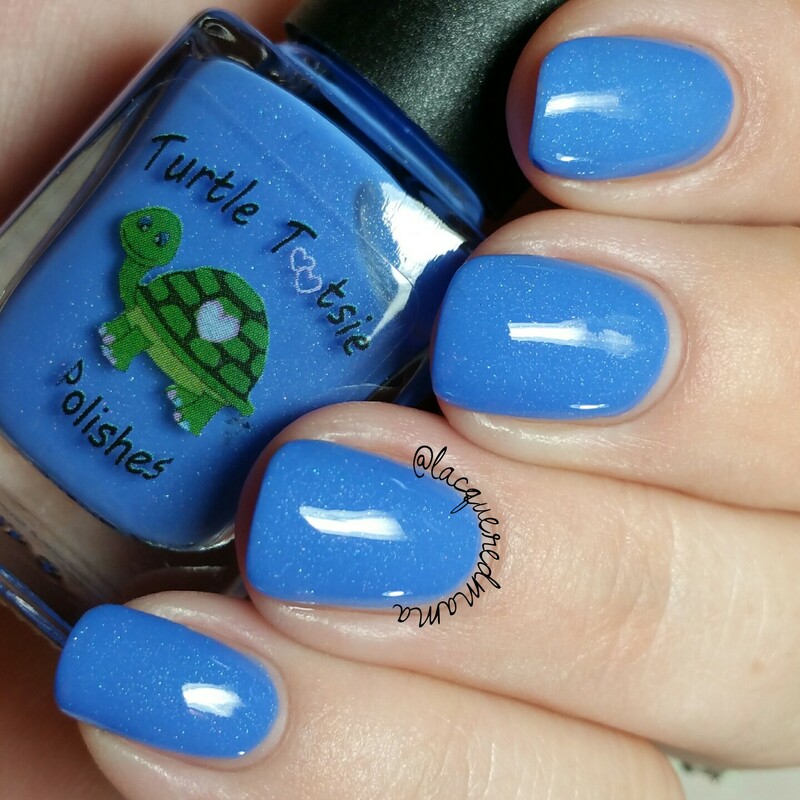 It is a gorgeous bright blue with a subtle scattered holo and has a wonderfully smooth formula. Here I did two coats, but depending on application, you may need a third. Blueberry Snowcone is Blue Ribbon's sister. She is a beautiful icy blue linear holo! Again, I did two coats, but you may need a third. 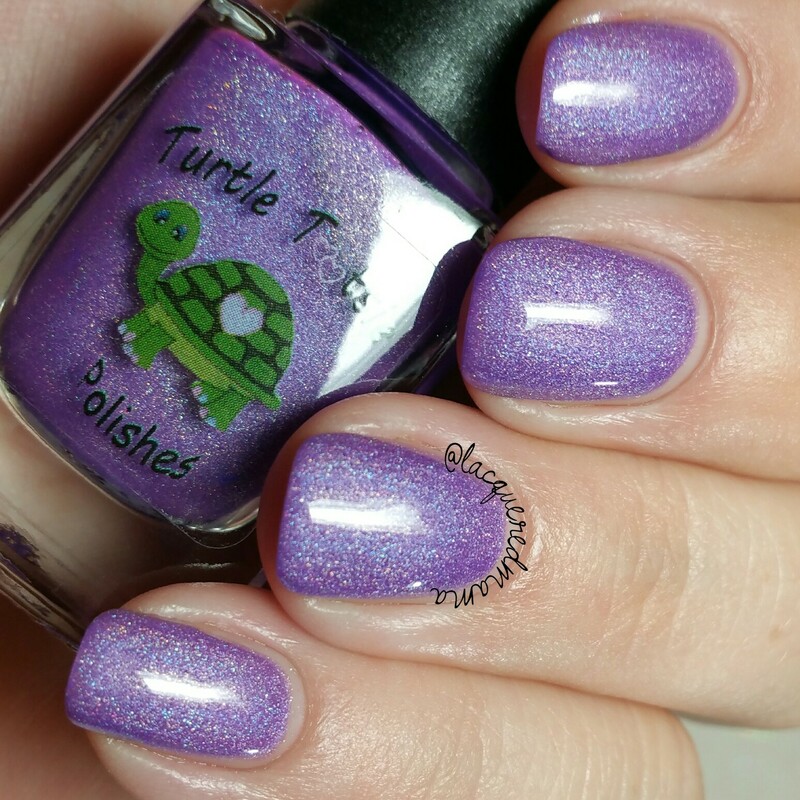 Taffy is a beautiful grapey purple with scattered holo. This applied really smooth and was opaque for me in two coats; though you may need a third depending on application. Carousel Horse is a glorious purple linear holo! So pretty! Here I did three thin coats. 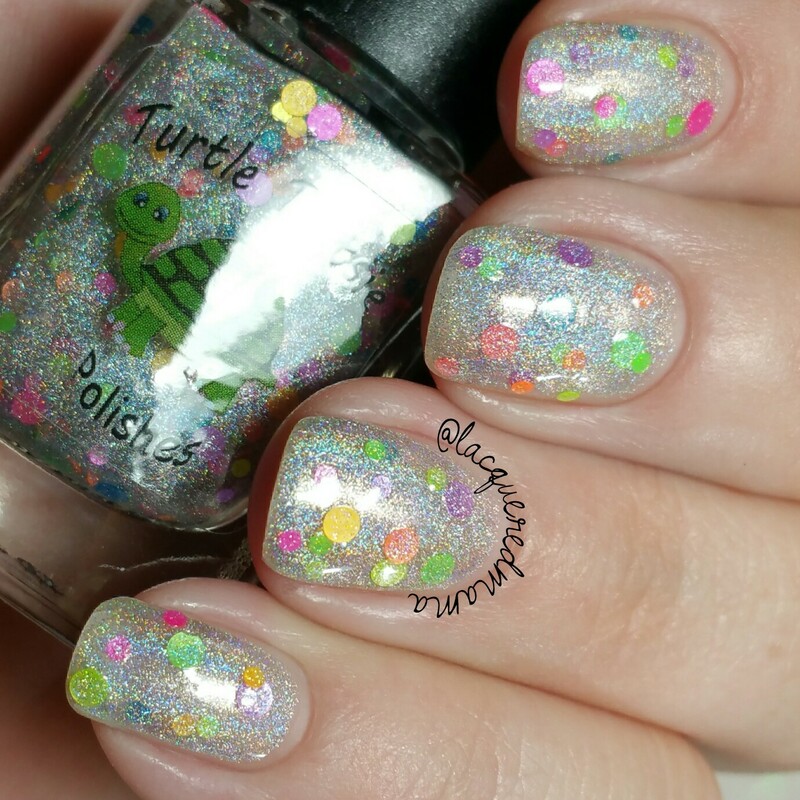 Cotton Candy is a pretty bubble gum pink with that scattered holo! 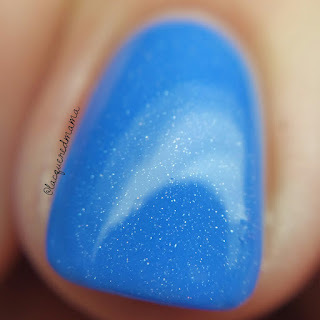 This one had a really great formula that was opaque in just two coats. 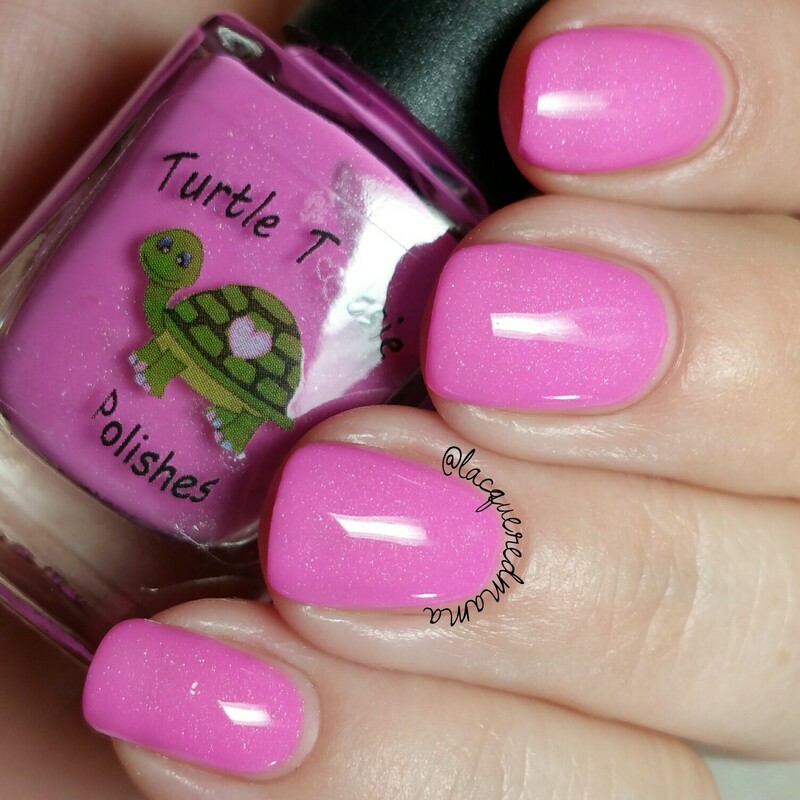 Tilt-a-Whirl is beautiful bubble gum pink linear holo! Same wonderful formula as Cotton Candy; needing just two coats. 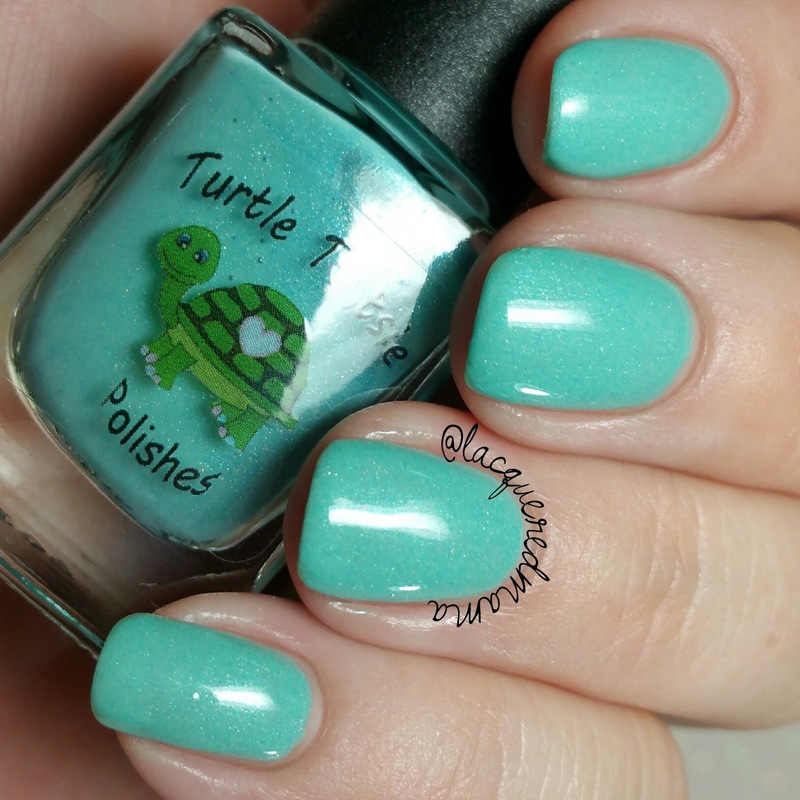 Motion Sickness is a gorgeous teal green polish with that subtle holo! Such a pretty color; sort of sea foam green. Here I did two coats plus topcoat. 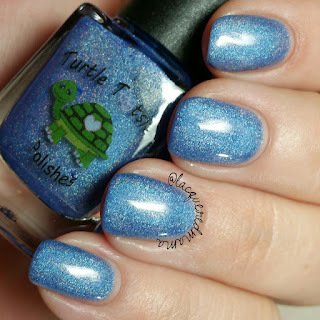 Deep Fried Pickles is a teal green linear holo! Gah-or-geous! 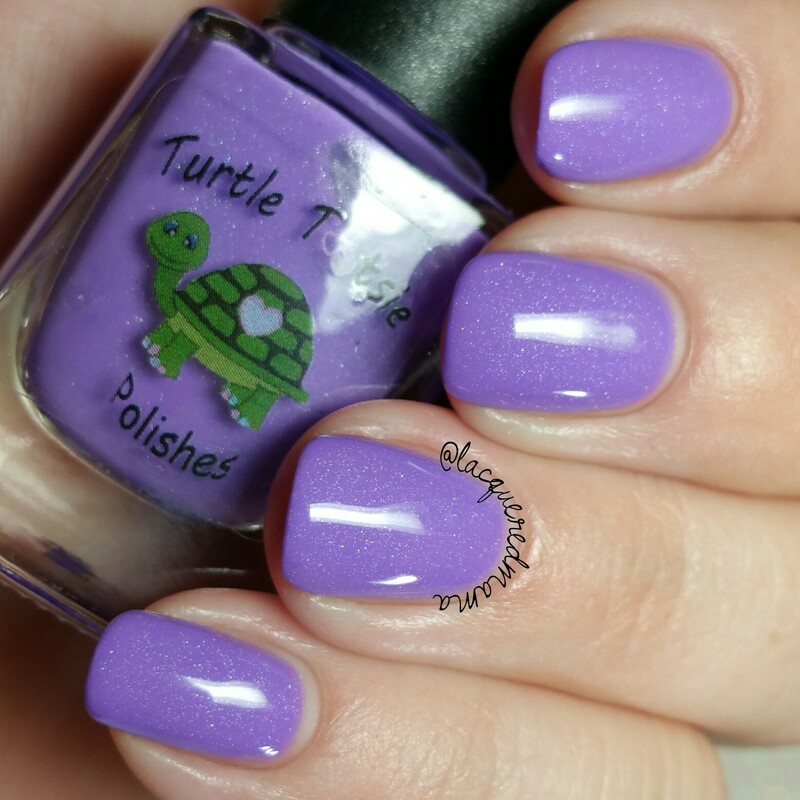 Another beauty that was opaque in two coats. 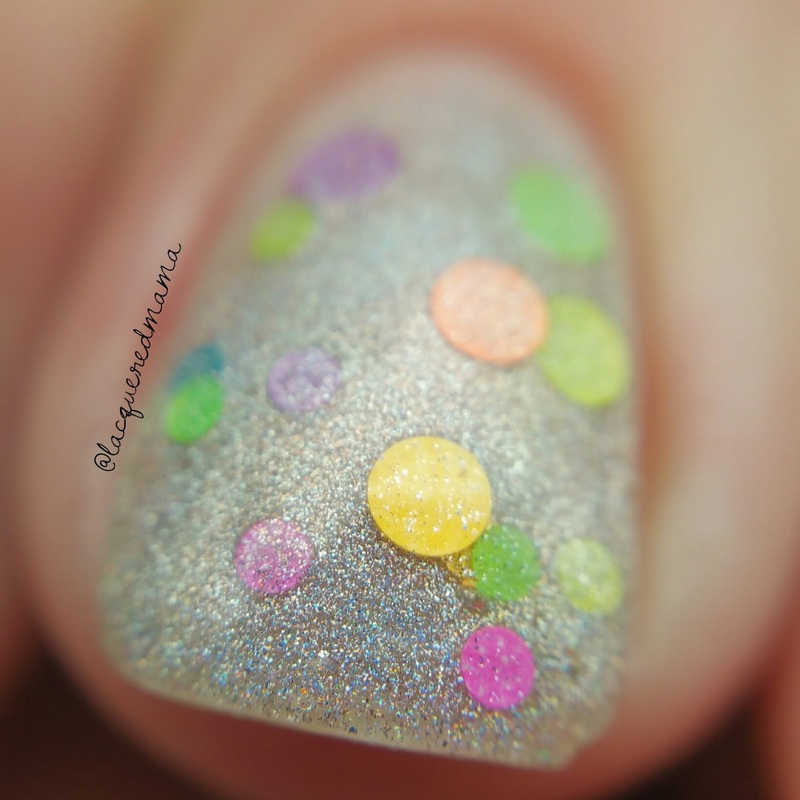 Kettle Korn lighter toned yellow with a subtle scattered holo! In the land of yellows, this formula was fantastic! I was able to do just two coats. Depending on application, you may need a third. 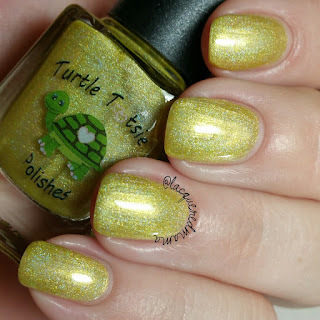 Frozen Lemonade is a beautiful yellow linear holo! 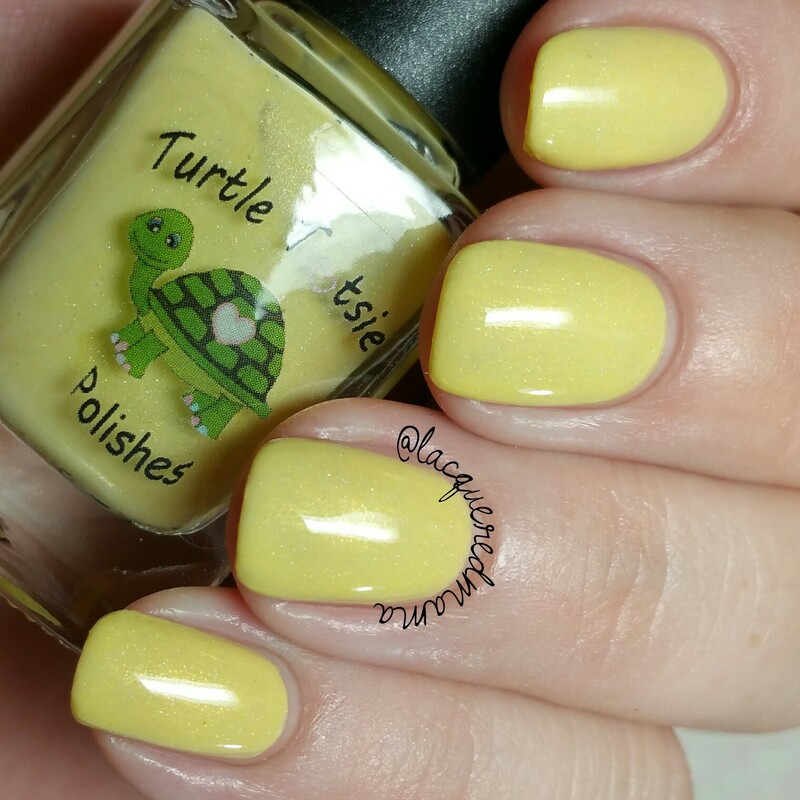 Fantastic formula that was opaque in two coats. Ferris Wheel can be worn as a topper over any colored base or by itself, as I've done here. 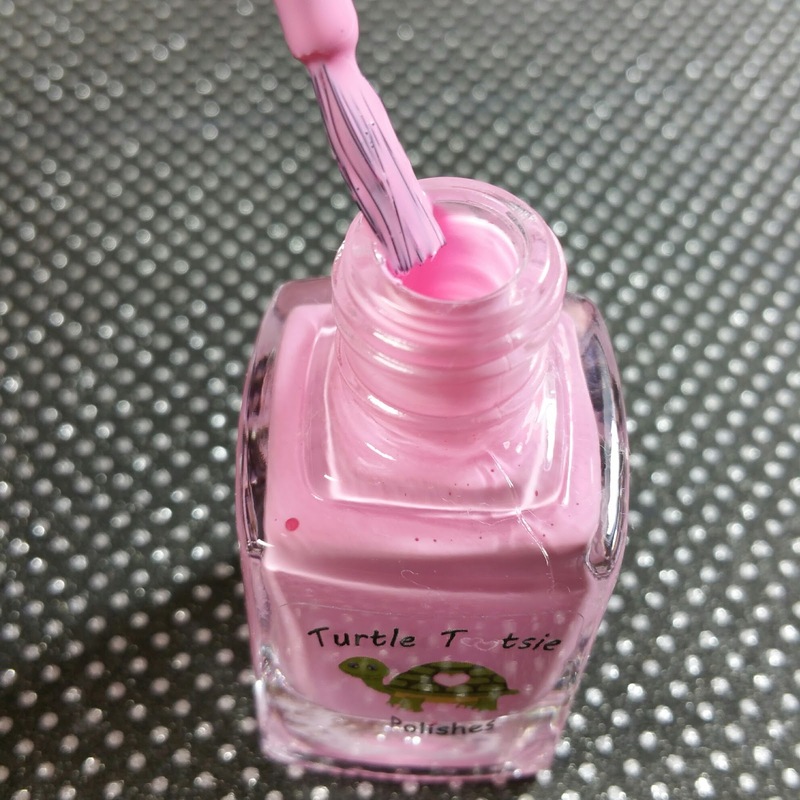 For my photos I did three thin coats, plus topcoat! 1st Turtle-bration is my second fav of the collection! 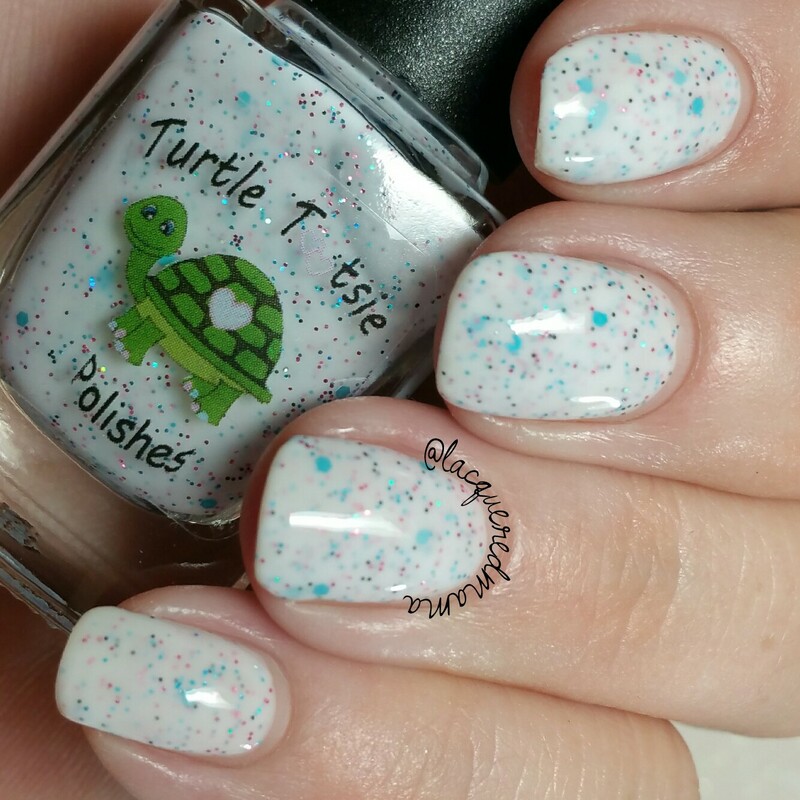 It is a white crelly base filled with pink and blue holo micro glitter, black holo micro glitter and turquoise circle glitters. I LOVE white crellies! Here I did three thin coats plus topcoat. Lip Balms! I love indie lip balms! I find myself hoarding them all the time. Who needs 12 lip balms? I do! Hehe! 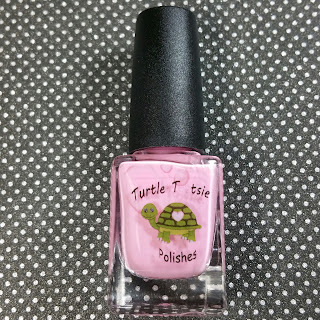 Turtle Tootsie's is great addition to my stash! 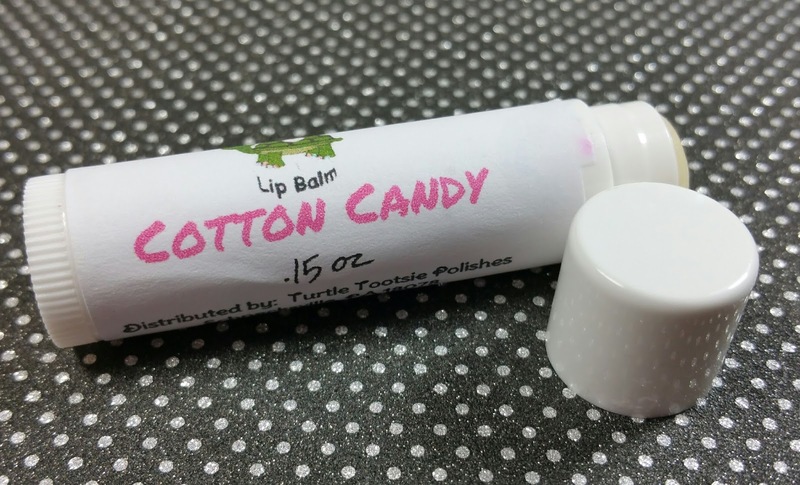 It's super moisturizing, without feeling too oily and made my lips feel really soft! Plus, this one smells like Cotton Candy! Yum! When I'm not hoarding lip balms, I hoard cuticle oil! I really love this one too! 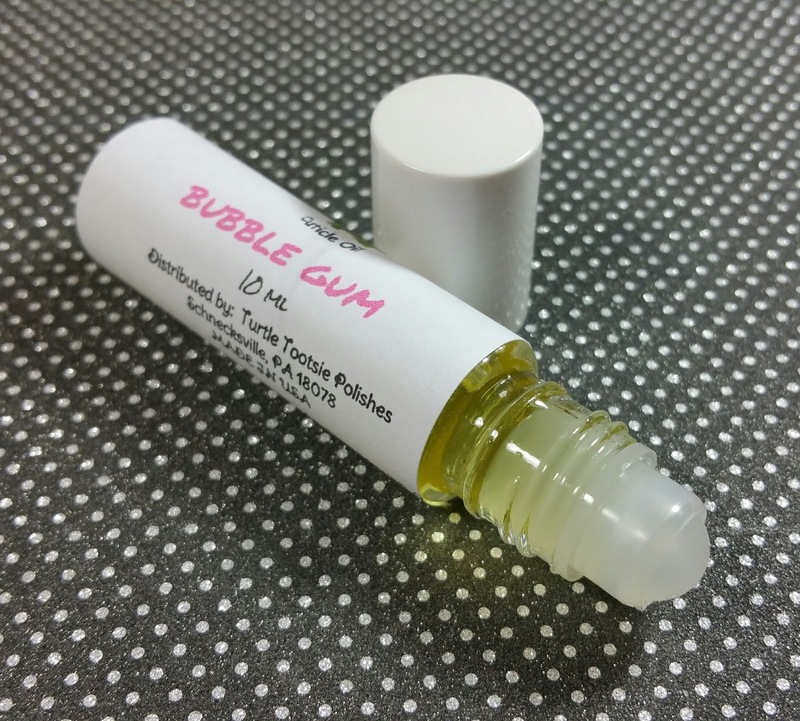 It has a subtle scent of Bubble Gum and is easy to apply using the roller ball. 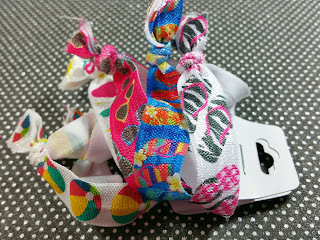 Hair Ties! If you've followed me for awhile, then you may have seen that I have a massive amount of curly/frizzy hair! I can't bring myself to cut it, so I wear it up 99% of the time! These are super adorable and hold really well! Plus they are really fun, bright colors, so maybe I won't lose them! lol! Liquid Latex! I go through this stuff like nobody's business! 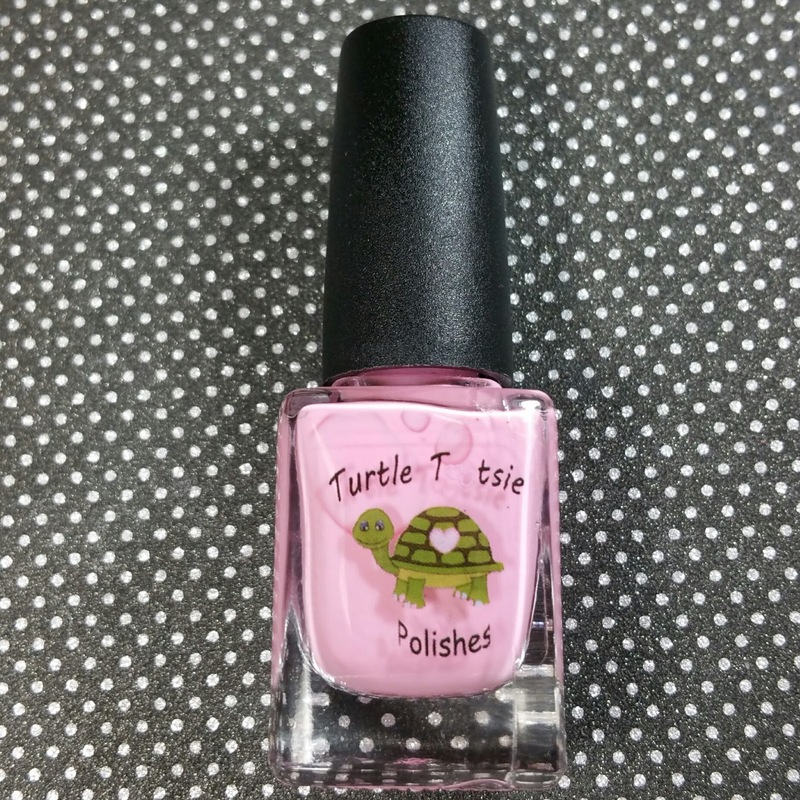 This one is a pretty pink color, with a subtle Cotton Candy scent. It dried in under a minute and removed in one glorious piece! Well....there you have it! SO many new goodies from Chrissy! All will be available in their shop on July 1st at 8pm EST! What are you planning to pick up? Taffy and Deep Fried Pickles!! Love, love love! I actually love all of these. Any idea of the cost of the whole collection?